Director of Education Norm Blaseg captured this photo of Stella McGregor of Churchill Public School making her way towards the finish line at the Rainbow District School Board’s Challenge Meet held at the Laurentian University community track on Thursday, June 14, 2013. 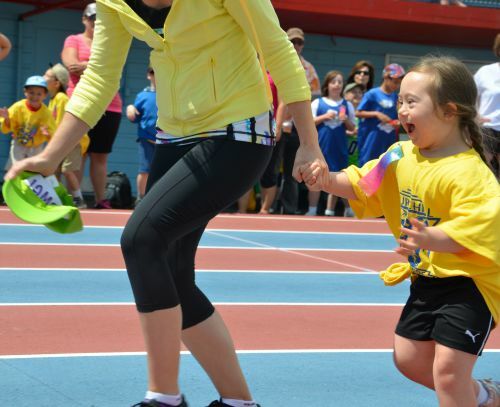 Students with special needs participated in races, high jump, long jump, softball throw, shot put, and other track and field events. "I would like to thank the many staff and community volunteers who came together to make this wonderful event possible," says Director Blaseg. "I would also like to congratulate the many participants for their competitive spirit. It is always a pleasure to cheer them on."